Total search results: 980. 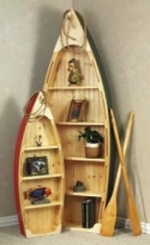 Displaying Page 1 of your woodworking search of BOAT. Noah and his Ark of animals, floating on the water in search of dry land. But where is the other monkey! We bet he is monkeying around again! Custom sizing available upon request. This is our small version. 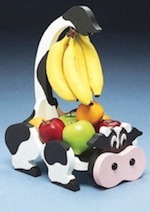 Coming soon we will have our much larger version for a full yard display of animals! Build your own fun with this child size toy boat. Full instructions are available at the link. This fretwork scroll saw woodworking pattern features a sailing day on the harbor, being chased by seagulls. A relaxing way to spend the day! This pattern is very delicate and must be cut and handled very carefully. A spiral blade will minimize turning the project and small detail lines are much easier to cut. Cut small details last to minimize vibration. Intermediate skill level. 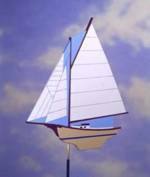 This fretwork scroll saw woodworking pattern features the scenic beauty of a moonlight sail! This pattern is very delicate and must be cut and handled very carefully. A spiral blade will minimize turning the project and small detail lines are much easier to cut. Cut small details last to minimize vibration. Intermediate skill level. This is the sail apparatus patterns with center-board and well, and full size pattern of the rudder. 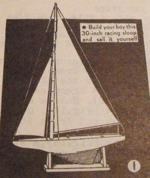 This plan is an option to the Junior Dinghy R-ANH0633/634. This is a vintage woodworking plan. Visit our FAQ page for a full definition. View the Larger Image Slideshow to see the actual item you are buying. 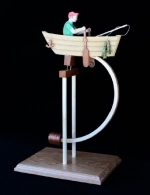 This fishing bow is a delight to watch as a balance toy, as the mechanism balances and pivots, the boy rows his paddles. An intricate project that requires skill and patience while adjustments are made. But once completed, it is a fascinating project. Download the free plans and follow along with the many pictures to build this childrens rubber band boat. For a short, light-weight skiff well-adapted to car-top transportation, you will make no mistakes in building this 9 ft plywood job. This craft pattern offers complete building drawings, some full size as required and a materials list.This is a vintage woodworking plan. Visit our FAQ page for a full definition. View the Larger Image Slideshow to see the actual item you are buying. This is an excellent family boat for the summer home. It is of marine plywood. Its length is 13 ft 6 in., beam is 51 inches, depth is 20 inches, and it seats six. It can be operated by a 10 HP, 16 or larger outboard motor. The runabout has the basic construction of a rowboat, with added deck, seat backs and trim, which improve its lines without appreciably increasing the cost. This pattern R-ANH0641 and pattern R-ANH0642 show plans, full size patterns for stern, transome, frames and other parts, and a list of materials needed.This is a vintage woodworking plan. Visit our FAQ page for a full definition. View the Larger Image Slideshow to see the actual item you are buying. 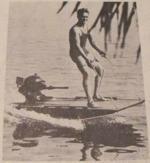 For water trills and spills build an aquaplane and ride the waves in tow of an outboard motor boat. Its tops in water spots. 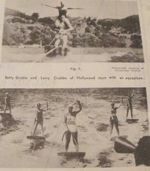 Pictured here are Betty Grable and Larry Crabbe, performing stunts on an aquaplane while at Malibu Lake. An aquaplane is a simple watercraft to build as you will readily discover by examining the working details provided in this plan. You can probably knock it together in an evening as it requires little material. This is a vintage woodworking plan. Visit our FAQ page for a full definition. View the Larger Image Slideshow to see the actual item you are buying. This is a vintage woodworking plan. Visit our FAQ page for a full definition. View the Larger Image Slideshow to see the actual item you are buying. Build your boy this 30 inch racing sloop and sail it yourself! The model yacht is held to her course by automatic rudder control. The Albatross is a nicely designed racing sloop with well balanced rig. her hull has a length of 30 inches and a beam of 6 inches. 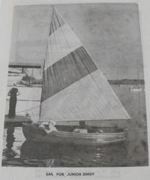 Her mast is 44 inches and her sail id 460 square inches. This pattern gives a full size half plan pattern of the hull, a full size elevation of the hull, and cross sections at six stations. It also shows how the hull is built up of lifts (bread and butter method) and how the glued up lifts are held in jigs for shaping and hollowing the hull. Details also show of the mast, boom, metal fittings, sail plans and rigging. Designed after a model by A. N. Thorsen. This is a vintage woodworking plan. Visit our FAQ page for a full definition. View the Larger Image Slideshow to see the actual item you are buying. Give your home distinction by adding window shutters. Five modern designs to select from are shown in full size on this craft pattern. It is easy to trace off the craft pattern design onto boards, saw out, and construct the shutters in one of the ways detailed. You can make them at small cost. 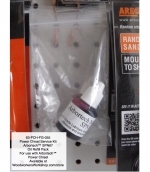 Our boat shelf projects are available in three sizes. This is the small one. You will find them all very easy to build. Most parts are drawn full size, including the bottom, for easy transfer to your boards. Projects are made from pine beaded board, 1/4 inch plywood and some 3/4 inch thick wood. Pattern for oars is included with the large boat plan only.